Catherine Ordway is a Senior Fellow at the University of Melbourne, having developed and lectured in Sports Integrity and Investigations, in the Sports Law program with Hayden Opie since 2014. Catherine has developed and taught a number of other sports management and sports law subjects at the Masters and undergraduate level at institutions including: La Trobe University, the University of Canberra and the University of New South Wales. Catherine has published on sports integrity, governance and gender equality issues and is a sought-after media commentator and conference presenter. 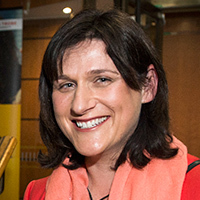 Catherine was an Australian squad member in the Olympic sport of handball, competed for the Australian Capital Territory in rugby union, and fenced at intervarsity. Catherine is a lawyer and has a Graduate Diploma in Investigations Management (Policing). Catherine acted for the Australian Olympic Committee in a legal capacity in the lead up to the Sydney 2000 Olympic Games. Catherine is also a Senior Consultant (Sports Law) with Snedden Hall & Gallop Lawyers (SHG Sport) in Canberra. Catherine has extensive experience in international anti-doping administration and has consulted on projects including the Rio 2016 Olympic Games Bid, the Budapest 2024 Olympic Games Bid, and the Gold Coast 2018 Commonwealth Games. Catherine has served on numerous ethics and anti-doping committees in Australia and internationally, and currently supports the: International Cricket Council, the World Baseball-Softball Confederation, SportAccord and the West Indies Cricket Board. Catherine sits on the International Sports Law Journal editorial board and is an expert contributor to the Australian Sports Commission Clearinghouse. Catherine received an Edna Ryan Award in 2016 for her long-term commitment to promoting women in sport. Catherine is currently completing her PhD at the University of Canberra on the link between gender equity on boards and integrity in sport.